Thankfully after much experimentation, I have found some I really love. Sunscreen powders are the best invention ever. I love powders for everyday use as it’s not oily, has a less chance of clogging pores and doesn’t leave your skin with unflattering “oily sheen”. It’s just like applying your favourite powder but with an added benefit – sun protection. 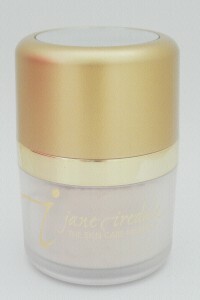 Jane Iredale is a mineral make up line made with only natural ingredients. Good for people with sensitive skin like myself. I have been using this for some time now. My daughter also loves this powder. Made from mineral powder and titanium dioxide, this is light and fine, yet water resistant. Gentle enough for kids and because the powder is translucent, it’s acceptable for men to use. Real men wear sunscreen! It provides broad spectrum (UVB) and UVA protection. In case you didn’t already know, UVB rays can burn your skin and UVA rays can cause wrinkles and age spots. Because it’s made from mineral powder, it doesn’t cause irritation and is actually good for your skin too. I have found my skin condition has improved after using this. It gives a nice matt finish to skin and comes with a cute powder puff on the top so you can dust it over your face and neck. Also for use on the body. I find it useful for the arms but not sufficient for the large surfaces because of the size of the puff. Technically this isn’t a sunscreen but a foundation with sunscreen. I don’t like wearing a lot of make-up. When I think of foundation, the words “heavy” and “thick” usually come to mind. I was persuaded by my mum who was also curious about the brand, to try it. We are both love products that make you look good and is good for your skin. Mineral make up is a favourite. The verdict is she prefers Jane Iredale overall for coverage but I love both brands. Bare Minerals is mineral based brand that is free of preservatives. The powder is light and fine. 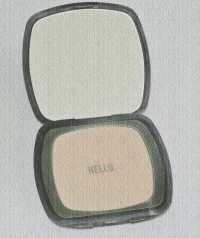 It feels like a pressed powder, only better with SPF 20. The effect is very natural, has an ‘’airbrushed look”, gives good coverage and reduces shine. You don’t look “done up”. It is said to be hydrating and make you “’younger looking’’. I am not sure I have become younger looking, but it does its job as a foundation with sun coverage. I finish off with a dusting of their loose powder, mineral veil. No breakouts. On a hot summer day, where I was perspiring continuously, it held up well, didn’t cake nor was patchy.